I’ve said this before, but trying new wines is the best way to understand what you enjoy and to learn about the many variations in wine. If you need to refresh your memory on why wine varies in flavor and what factors impact the change, revisit my article about the variation between vintages of wine. Once you understand these factors, think about them as you try new wines (yes, don’t be afraid to try something new!) and try to depict which factors affected the wine-making process. A great way to sample new wines at a restaurant or wine bar is to order a wine flight instead of a single glass. It ends up being about the same amount of wine, but you’re able to compare and contrast three different wines in one sitting. It’s a great way to start exploring new wine. Another way to try new wines is to join a wine club. My husband and I recently signed up for Club W with the hope of trying new bottles we would not normally buy at the store. I’d like to share some information about the club and offer you a discount on your first shipment! When you sign up, you are prompted to answer a short questionnaire about your palate that helps produce a recommended list of bottles for your first shipment. You by no means need to order the three recommendations; if you prefer to browse the wine selection and choose bottles for yourself, you can definitely do that instead. Since I wasn’t familiar with any of the wine, I found the recommended bottles were a great starting point. Once you decide which bottles you’d like to receive, add them to your cart so you are ready for your first shipment. Each monthly shipment contains 3 bottles of wine and each bottle costs $13; with shipping, your total monthly cost is $45. In my opinion, this is very reasonable for three bottles of wine delivered right to your door. Once you sign up, you are not obligated to receive a shipment every month; you can choose the “skip a month” option anytime you wish and still continue your Club W membership. When your wine arrives, it’s important to note that an adult of at least 21 years of age must be present to sign for the delivery. As you open each bottle and sample your wine, I’d recommend rating each bottle through your online account. 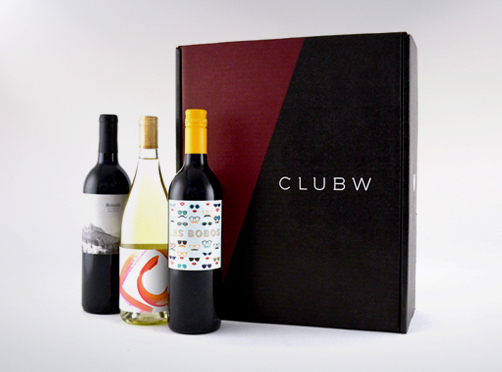 Your ratings will help Club W tailor their monthly wine recommendations to your palate. Each month, you can select the newly recommended bottles for your shipment or manually choose which bottles you prefer to receive. Just make sure you are aware of your shipment date and get your selections added to your shopping cart before then. Are you interested in trying Club W and receiving a discount on your first order? 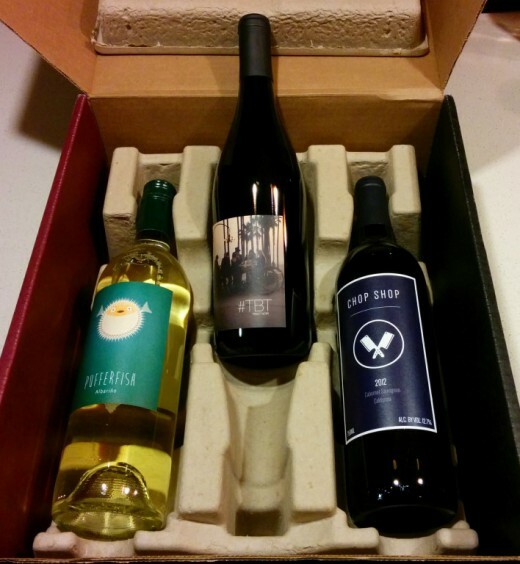 Use this link to sign up and receive 1 free bottle of wine in your first shipment! We just received our first shipment of wines last week and it included a 2014 Pufferfish Albarino, a 2012 #TBT Pinot Noir, and a 2012 Chop Shop Cabernet Sauvignon. So far we’ve only opened one bottle and although it was unique and very different from what we typically purchase, we enjoyed it. I’m looking forward to trying the other two bottles and getting our shipment next month! Are you a member of any wine clubs or are you interested in joining one? Share you experience in the comments and let me know if you end up giving Club W a try! I’d love to hear what you think.